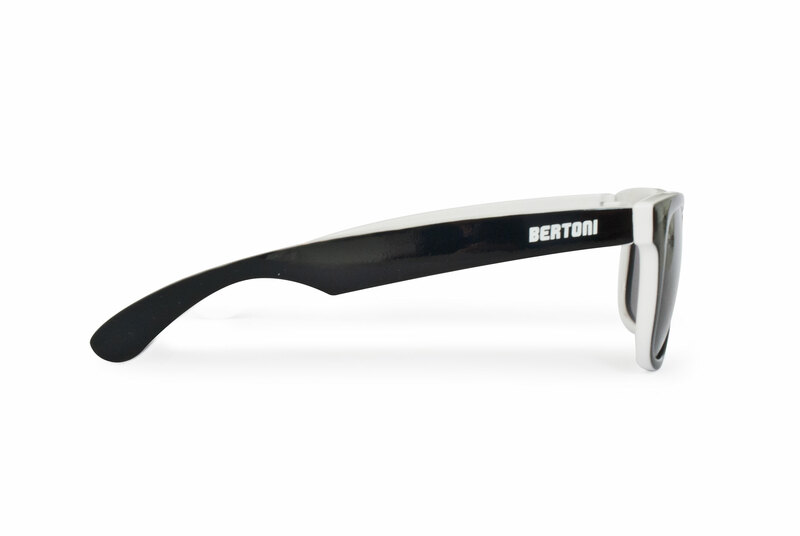 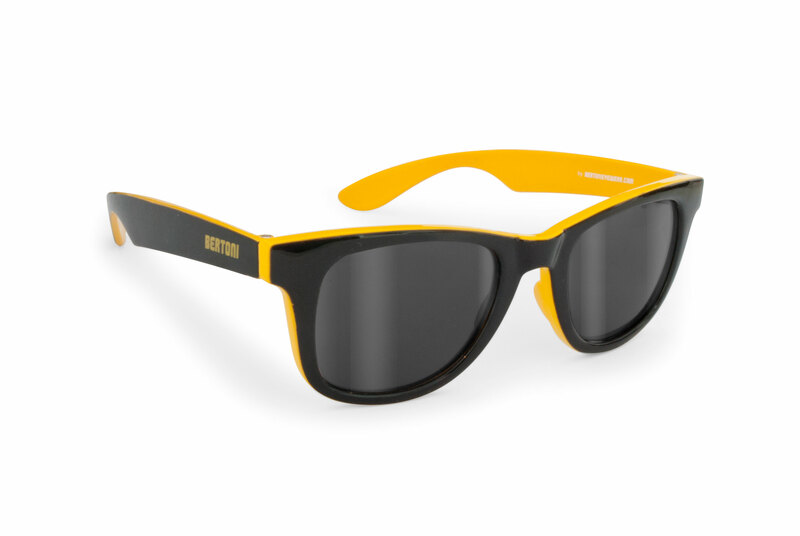 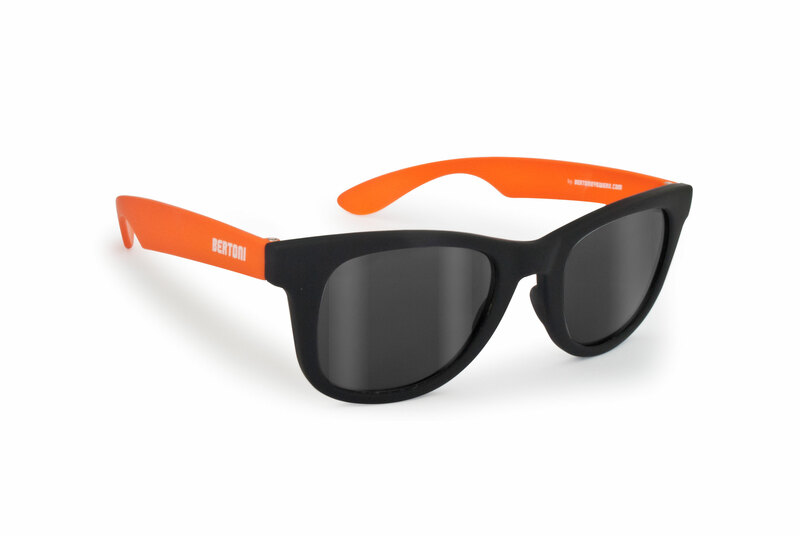 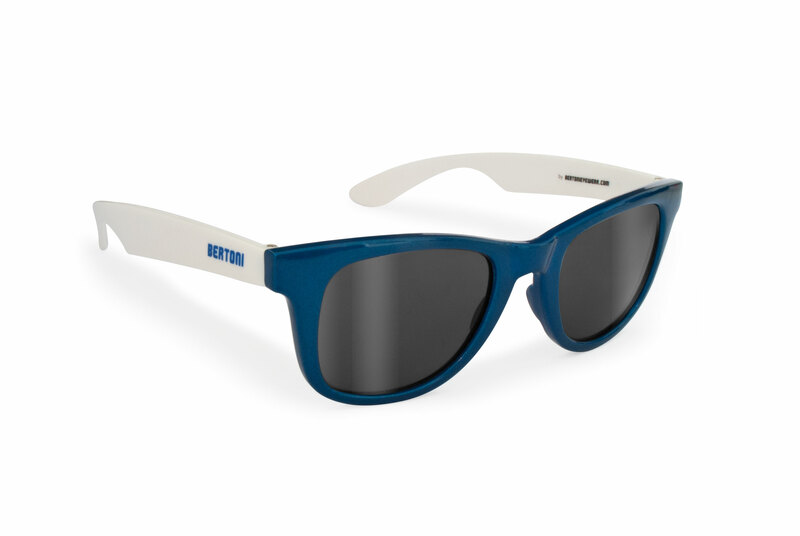 Sports-fashion sunglasse by Bertoni. 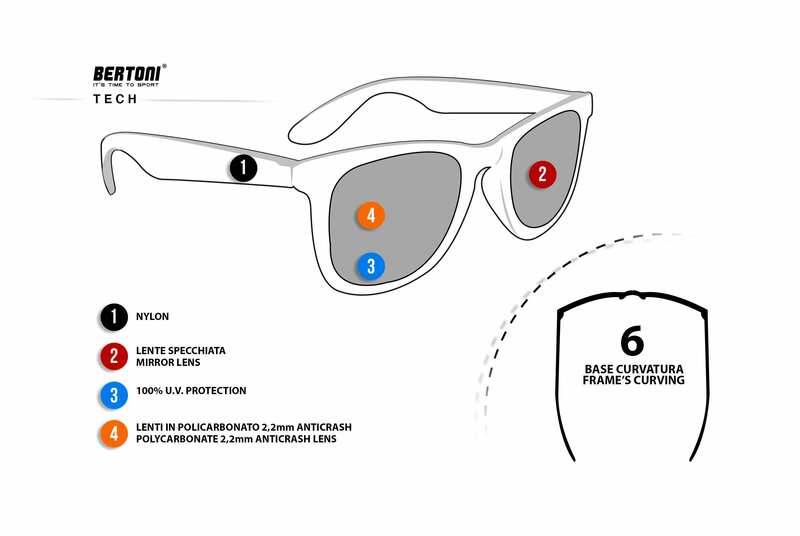 Frame in polycarbonate, the same material used for our technical sports sunglasses. 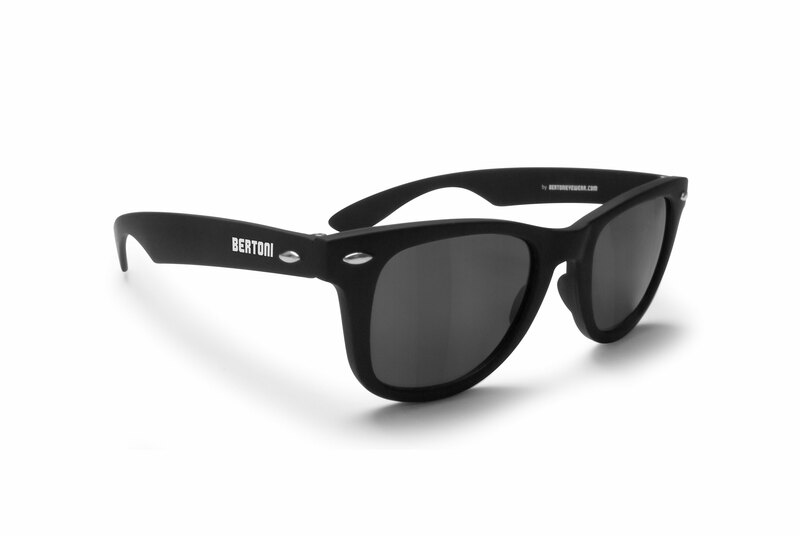 Thin and soft rods, optimal under the helmet. 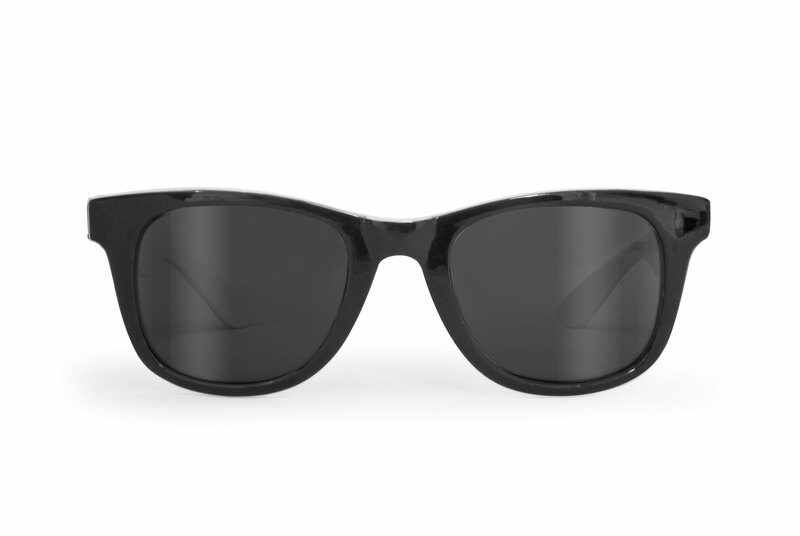 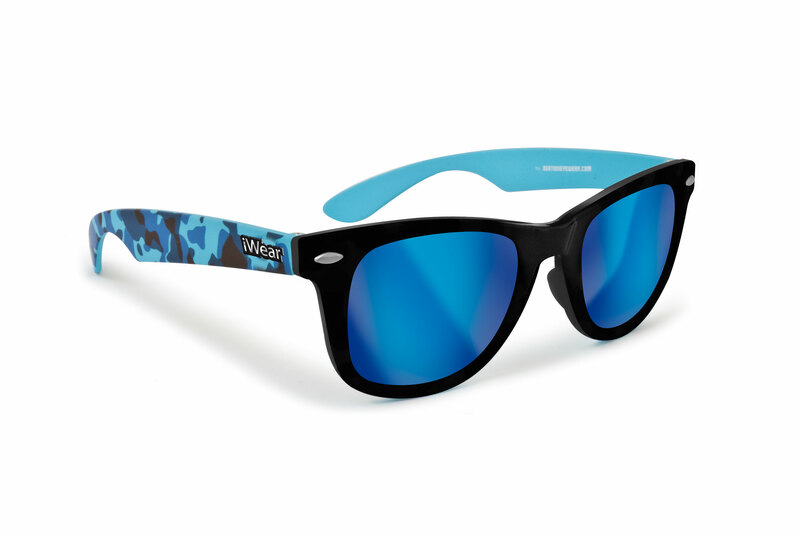 The lenses are decentralized and, of course, 100% UV protection. 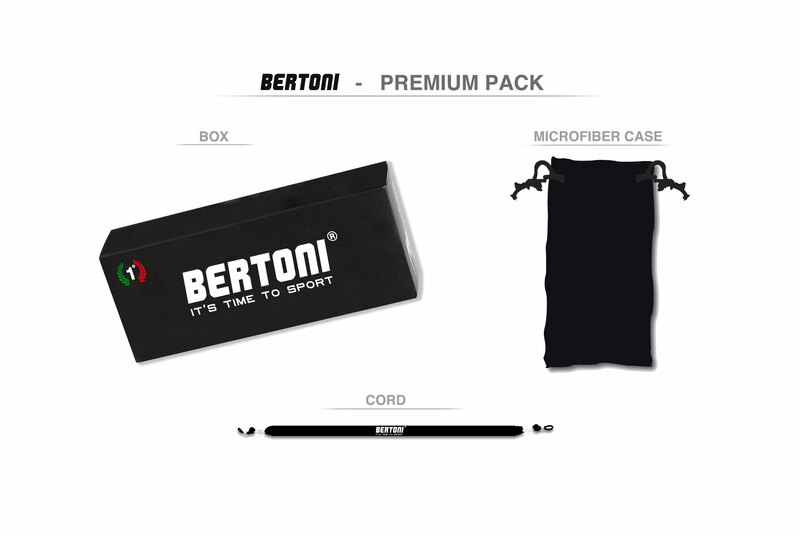 The technical sports collections of Bertoni are accompanied by a series of models in the enclosed Freetime line. 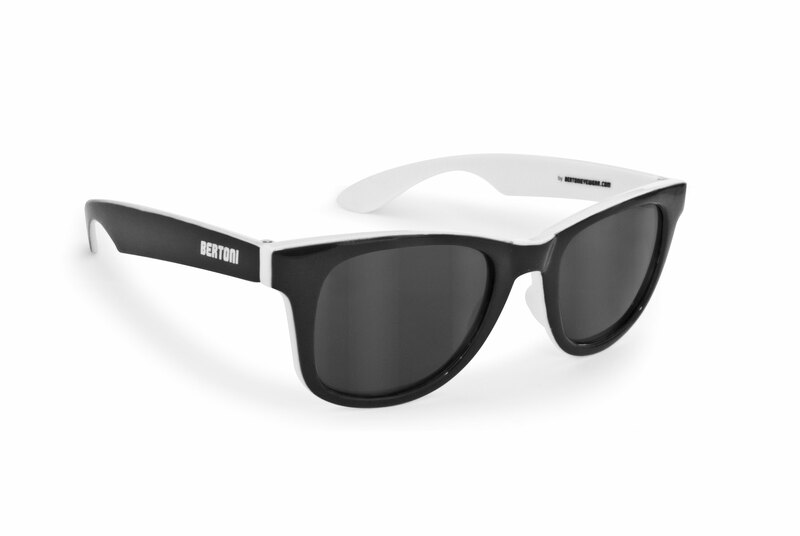 The line includes models for male, female and unisex in various colors, ideal to be weared for sports and during your freetime. 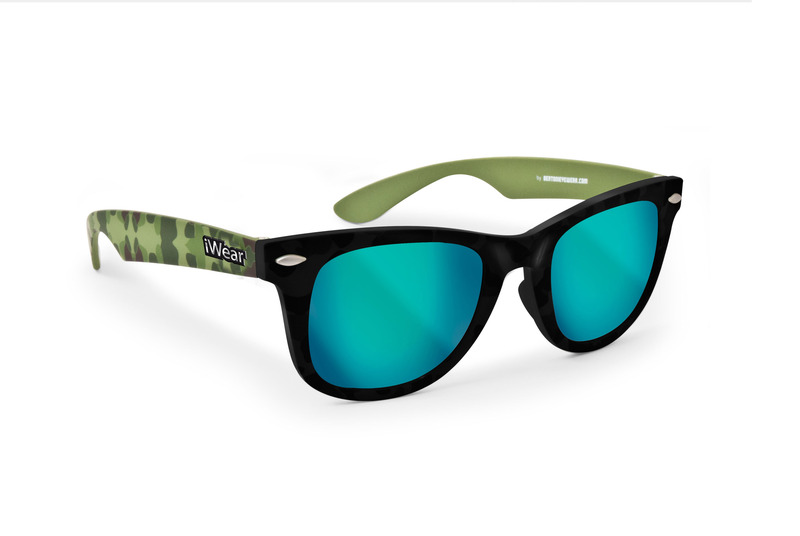 All those sun lasses are windproof and offer an elevate high impact resistance thanks to the materials used, the same of the technical collections. 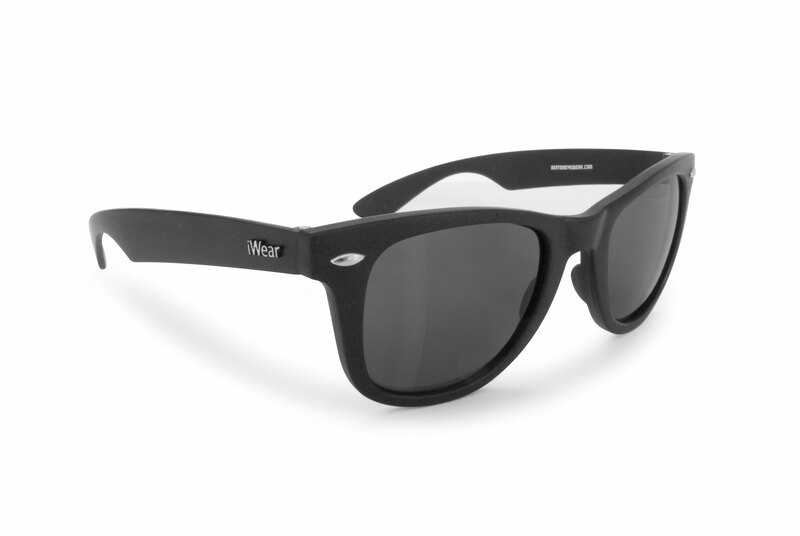 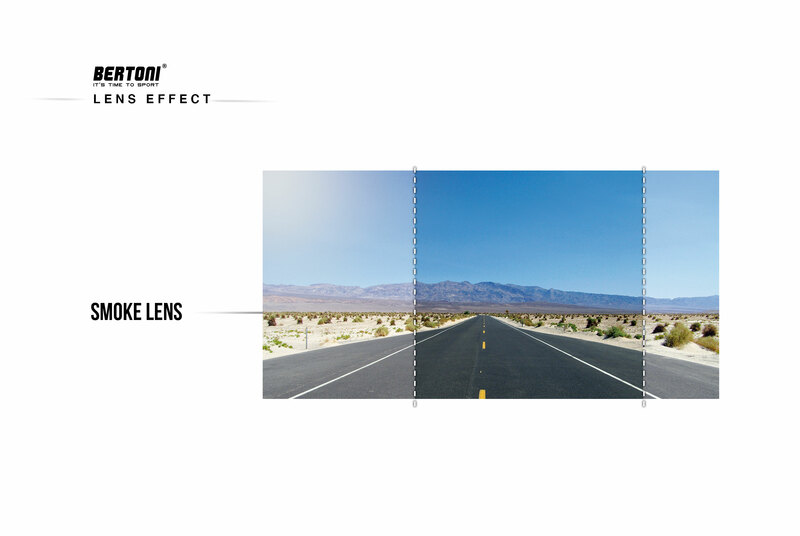 All the lenses, decentralized, are 100% UV protection to ensure optimal viewing in complete safety.